Granite Bay is a primarily residential suburb of Sacramento, CA. Named for a bay in nearby Folsom Lake, Granite Bay is a great place to live. Situated at the base of the Sierra Nevada foothills, Granite Bay real estate boasts gorgeous views and mountain air, as well as access to some of the state’s finest public schools. Located less than 30 minutes from Sacramento, Granite Bay real estate also offers residents an easy commute into Sacramento and continues to grow in popularity with homebuyers of all types. When searching Granite Bay real estate, be sure to check out homes for sale in Rocklin CA and Nevada City real estate as well. Located a bit farther from Sacramento, Nevada City is a charming town, boasting a successful downtown district, full of preserved historical buildings, including the Nevada Brewery, Nevada Theatre, Doris Foley Library for Historical Research, the Miners Foundry and the National Hotel. There are also plenty of cultural events in the area, including several annual events, such as The Constitution Day Parade, the Nevada City Film Festival, and Victorian Christmas. When you’re ready to take the first steps to finding your dream home, whether it be in Granite Bay, Rocklin, Nevada City, or anywhere else in the area, give the team at Fine Homes Network a call. 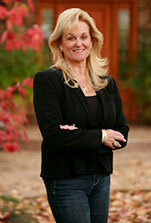 Broker Cindy Argento has been a resident of Grass Valley since 1979, giving her unique and extensive insights into the area. She and her team love finding the perfect home for their clients, so let them put their expertise to work for you. Browse through their current listings, and then call the team today to get started!